After a long Thanksgiving break and plenty of time to catch up on my reading list, I can finally share some more books I've read recently. 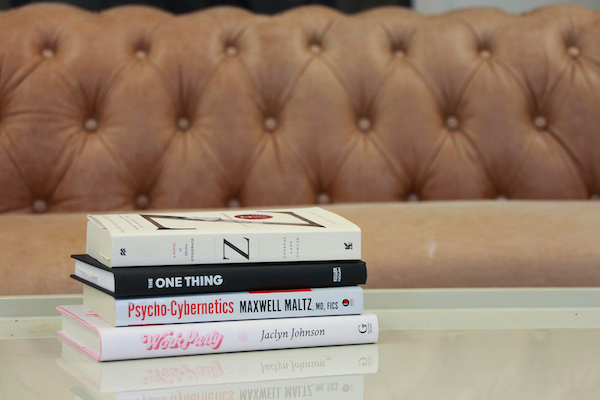 These are some of my favorite posts to write because I love hearing about what books other people are reading so hopefully I can provide some helpful recommendations for y'all! This is one of the few fiction reads I have reached for in the past few months and really enjoyed it! Z tells the story of Zelda Fitzgerald and her life with F. Scott Fitzgerald. It's biographical nonfiction, so it's based off her real life but is a really interesting and engaging story and I loved reading about the Jazz Age and the Fitzgeralds' adventures around the world. Fowler also wrote a similar novel about the Vanderbilt family, which I think would be an interesting read as well! I had been meaning to pick up The One Thing after seeing it at the bookstore for months and am so glad I finally did. It's a pretty quick read and is unlike a lot of business and personal growth books I've read in the past. Each chapter starts out with something the author deems to be a myth – like multitasking or a work-life balance – debunks it, and relates it back to how to focus on your one thing. I pulled some great tips and motivation from this book and highly recommend picking it up! Psycho-Cybernetics is somewhat of a classic in the self help genre and did not disappoint. Where many other books talk briefly about the subconscious and how it controls much of our confidence and success, this book really dives into how to actually use your subconscious to improve your life. The author was a plastic surgeon who realized that physical change was not enough to improve an individual's self image and potential for success and provides a really unique perspective. I'm sure a lot of y'all have been following the Work Party movement, which was started by Jaclyn Johnson, the founder of Create & Cultivate. It tells the story of how she started her company and offers advice for entrepreneurs. I love reading about the journeys people take to reach success and loved hearing Jaclyn's story and what she learned throughout the process of starting Create & Cultivate.